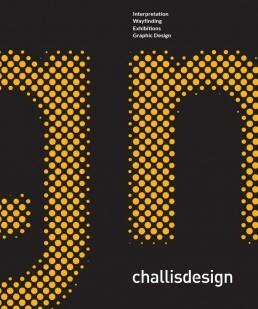 Since 1988 Challis Design has been delivering creative design solutions for local government, corporations and not for profit community groups. From display and exhibition services to design and production, our experienced Geelong-based team works closely with clients at every project stage to achieve customised, creative outcomes. For each project, our mission is to achieve high quality deliverables that fulfill the brief through a considered process of collaboration, planning and execution. Challis Design is dedicated to working with you to transform your ideas into reality, while making the most of your budget and time frame. We are focused on relevant, workable outcomes that use creativity and visual impact to engage, educate and inspire. From generating ideas and concepts, through to project management, strategy development, documentation, creative design, manufacture and installation, we work with you every step of the way. We can be involved as much or as little as your project needs require.